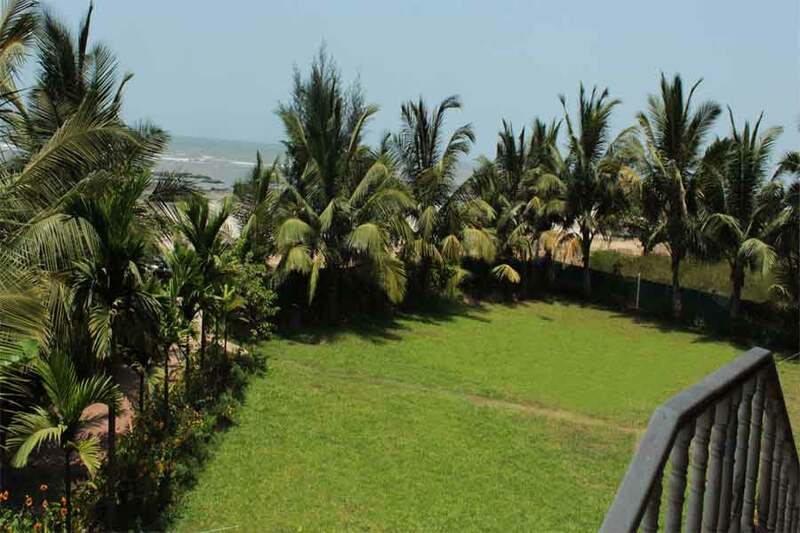 Use the form below to inquire about Ancient Style Beach Villa At Korlai . 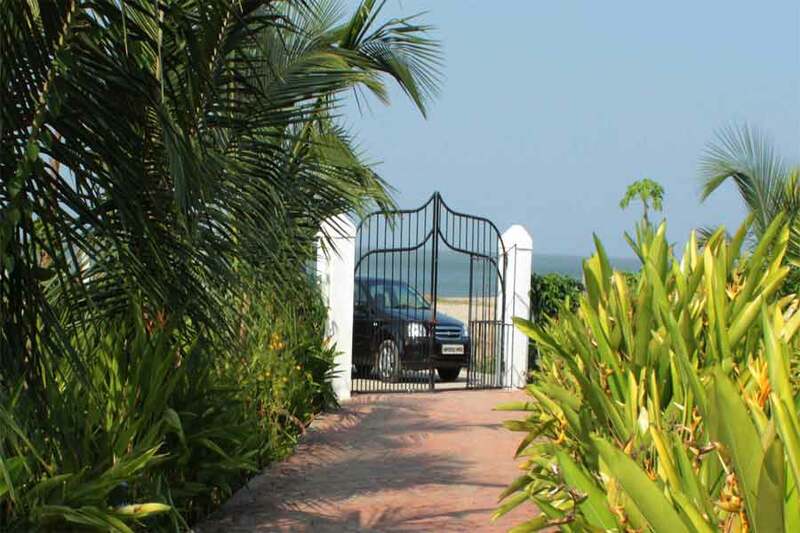 Use the form below to reserve for Ancient Style Beach Villa At Korlai . The villa has a large living area, two spacious bedrooms with queen size beds.One bedroom also has a bunk bed for children. 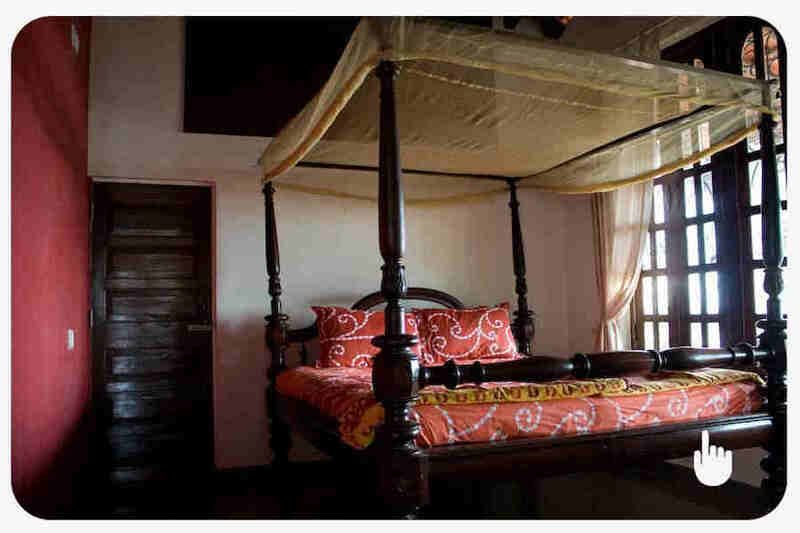 Just about sixty miles from Mumbai, this Ancient Style Beach Villa at Korlai beckons you with its old world charm. With mountains in the backdrop and the sea in front, this ancient style beach villa at Korlai is truly an escape into serenity. The magnificent Korlai Fort, which is reminiscent of the Portuguese rule here, sits a stone’s throw away. The reflections of Portuguese elements can be spotted in the resort in the form of a Goan and Portuguese style of architecture and interiors. This bungalow is perched atop a hill, offering elevated views of the gorgeous sea and sandy beaches. Stunning, secluded beach, never-ending sea views, stylish and spacious rooms, and sumptuous homely cuisine is all that one needs to unwind and chill. This beachside hideout offers the perfect weekend getaway for metro dwellers who yearn to escape from the mundane city life. At high tide, the waters of the Arabian Sea kiss the shores of this isolated beach near Alibaug. 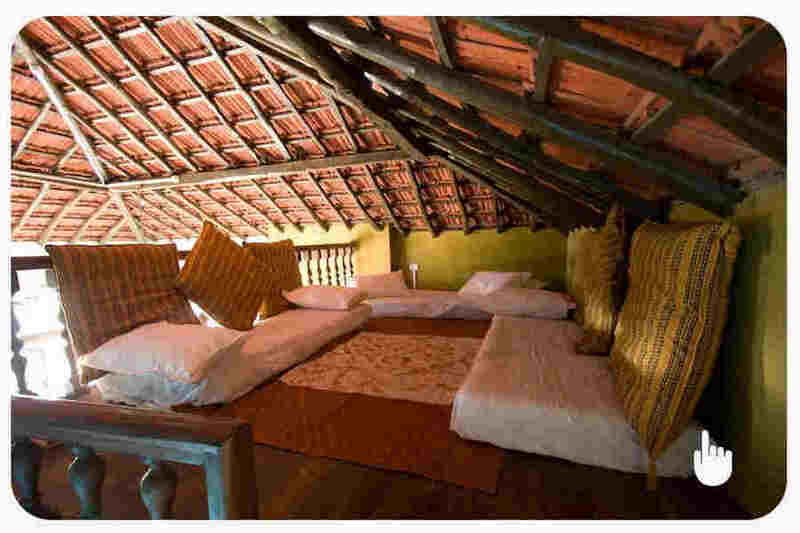 This ancient style beach villa at Korlai houses two large rooms, an attic, and a large living room. 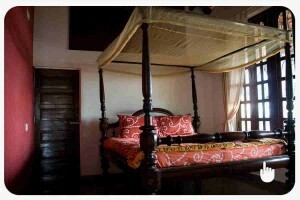 The bedrooms are air conditioned and provided with full sized wardrobes. The mezzanine floor is ideal for families with kids. Timeless antique furniture resonates a yesteryear elegance and nostalgia in the entire ambiance. 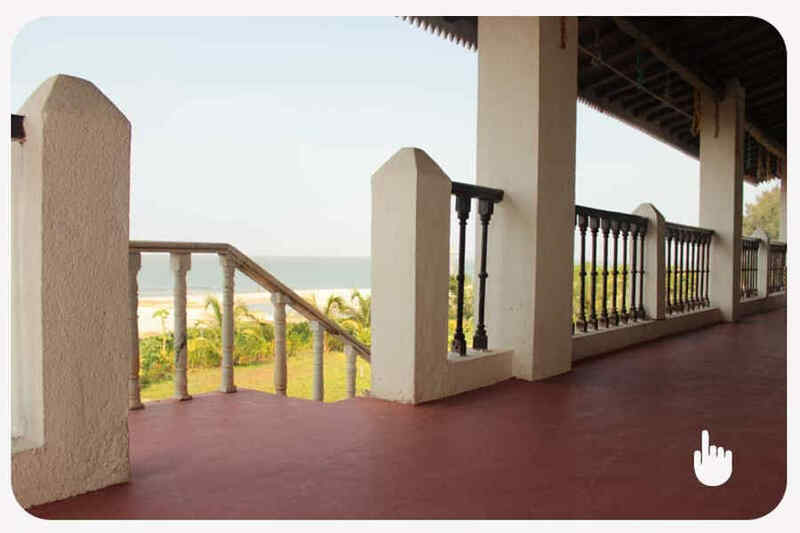 The huge veranda that overlooks the well-manicured lawn, abuts the beach. The moon reflecting a golden glow on the surface of the water, sights of fishing boats cruising by, the dusk painting the horizon with various exotic shades, and birds playing with waves at high tide, are visuals that can be experienced right from your room. 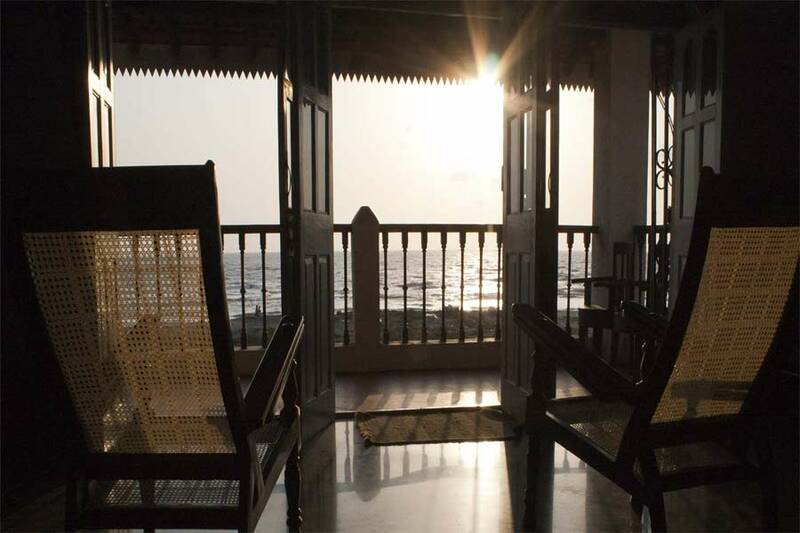 The homely warmth of this ancient style beach villa at Korlai is enhanced when you visit as a group. 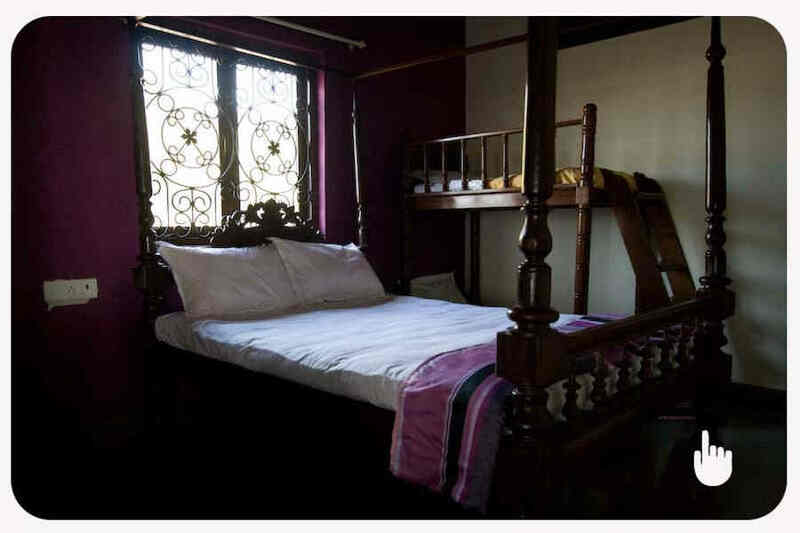 The accommodation capacity of this homestay is 12 guests at a time. A fully functional kitchen is offered to the guests. Guests can either choose to cook at the kitchen or opt to order the food from the home-stay. Local delicacies prepared from fresh catch add to the flavors and the rustic charm. Inverter power backup and round the clock caretakers are provided for a safe and comfortable stay at the home-stay. AP charges include breakfast, lunch and dinner (veg or non veg). Check-in is at 12.00 noon and check out is at 10.00 am. Children below the age of 6 years stay free. Children between ages 6 to 11 years will be charged separately. A guest is entitled to a refund of 50% if he/she cancels the confirmed booking 15 days or more before the start of the reservation. If the guest cancels less than 15 days before start of the reservation, he/she is entitled to no refund. Besides relaxing in the pampering hospitality and stunning sceneries, explore the ancient town of Korlai and its vicinity. The magnificent Korlai Fort, constructed in the 16th century, is just a brisk walk from the homestay. There is a striking lighthouse at the base of Korlai Fort. 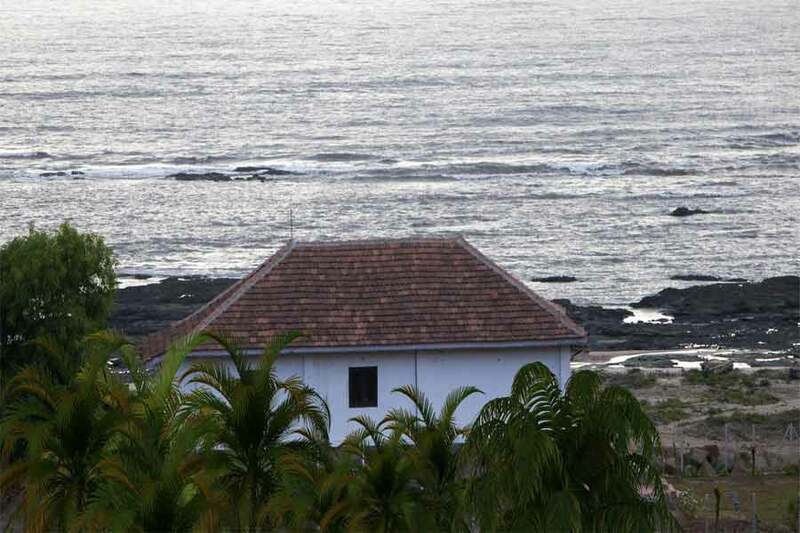 The Fort offers a panoramic view of the verdant landscape as well as the electric blue waters. The 17th century sea fort at Murud is another crowd puller with its picturesque setting. Popularly known as Janjira , this sea fort is a rare sight in India. Thrilling water sports activity at Kashid Beach will set your pulse racing. Pay a visit to the 16thcentury Portuguese church at Korlai village. The ancient Shiva Temple at Chaul village is at least 400 years old and takes you to a bygone era. Spend some quality time with your kids building sand castles on the pristine beach. The fisherman’s village near Korlai Fort is a must visit to catch a glimpse of fishermen bringing in the fresh catch of the day. 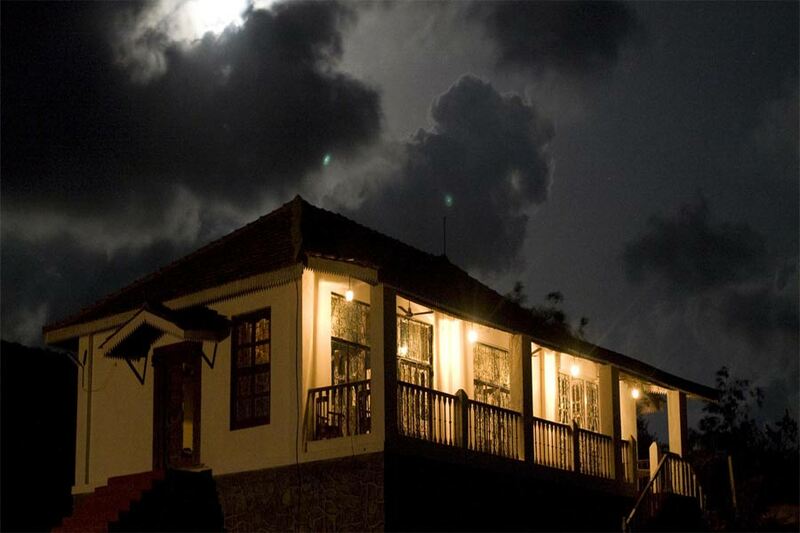 A candlelight dinner by the beach against the lashing waves under a starlit sky is many a romantic’s aspiration. The homestay converts this dream into a reality by setting up a cabana on the beach for an exquisitely private candlelit dinner. Set out on nature walks along the beach or by the hill. Stop at Phansad Bird Sanctuary , which is a vantage point for bird watchers. Mumbai is the nearest airport to Korlai at 115 km(appx 3.25 hrs). From Mumbai, drive towards Navi Mumbai through the Mumbai highway. On reaching Kamothe turn right towards NH 48. After Kolkhe, deviate from NH 48 to NH 66 and drive further. On reaching Vadkal, deviate to NH 166A. At Kurul NH 166A merges with SH 91. On this road, just before Golmata Mandir, take right and head straight until your cross Alibaug -Revdanda Road. Take this road to Korlai.